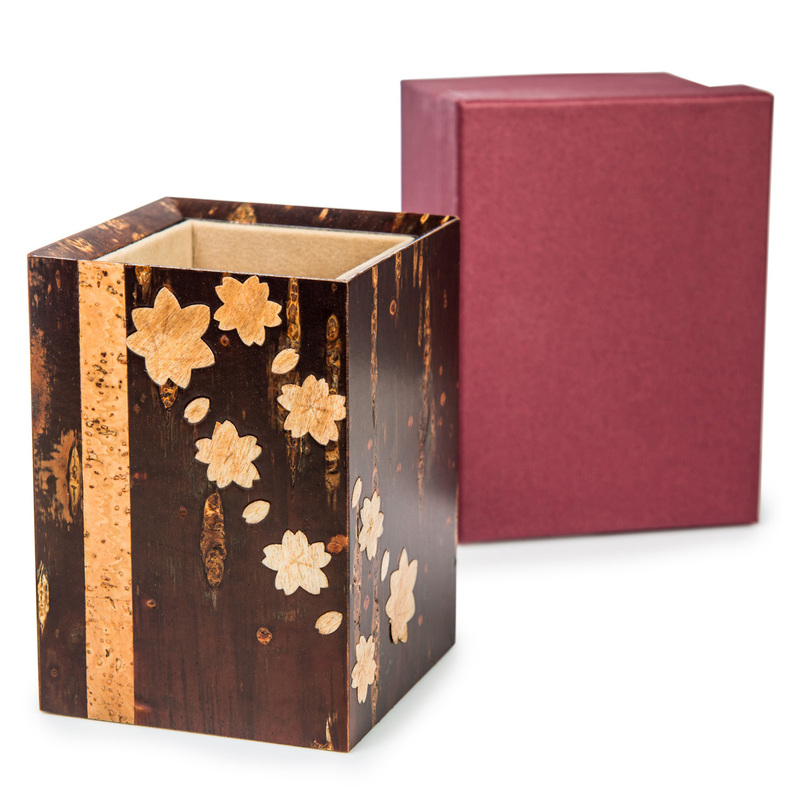 Handmade Cherry Bark Japanese Pen Box is a beautiful hand crafted box made from cherry tree bark. Called kabazaiku, it has a cherry blossom detail, high gloss finish, deep rich colour and a soft felt interior. Size: 7.6cm long x 7cm wide x 10cm high / 3 x 2.75 x 4 inches. Exclusive to The Japanese Shop, could of course be used for a range of knick knacks as well as pens! With a smart gift box is ideal for people who appreciate great quality traditional Japanese craftsmanship! Looking for a really special Japanese gift? 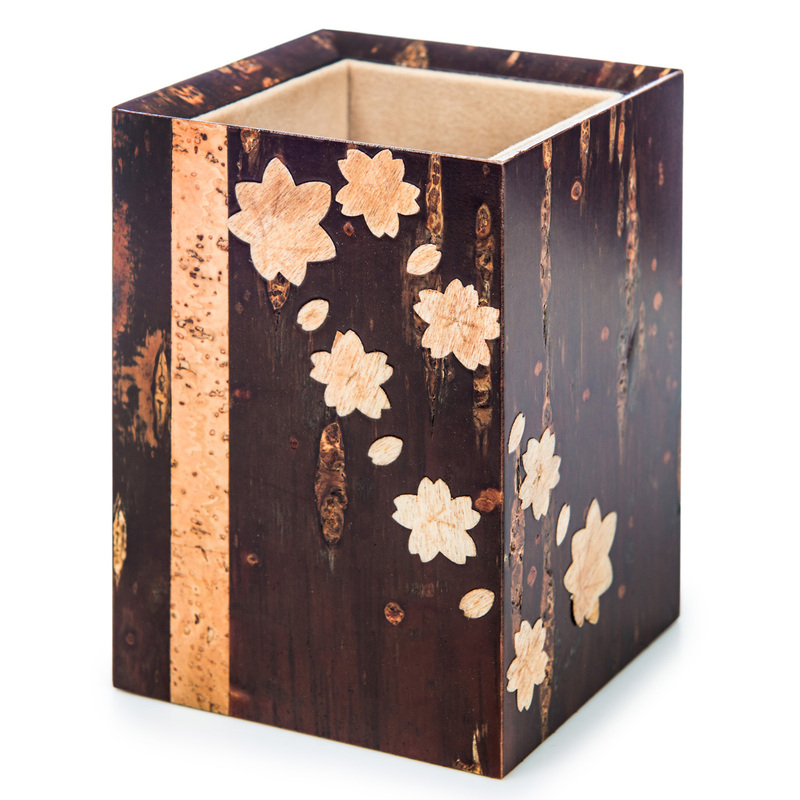 The Handmade Cherry Bark Japanese Pen Box is a hand crafted beautiful quality Japanese wooden box which has been made in Japan from cherry tree bark, with a cherry blossom detail and a soft felt interior. Exclusive to The Japanese Shop this unique range is called kabazaiku, which has flourished in Japan for over 230 years and produces products which have a high gloss, deep rich colour, are smooth and strong. 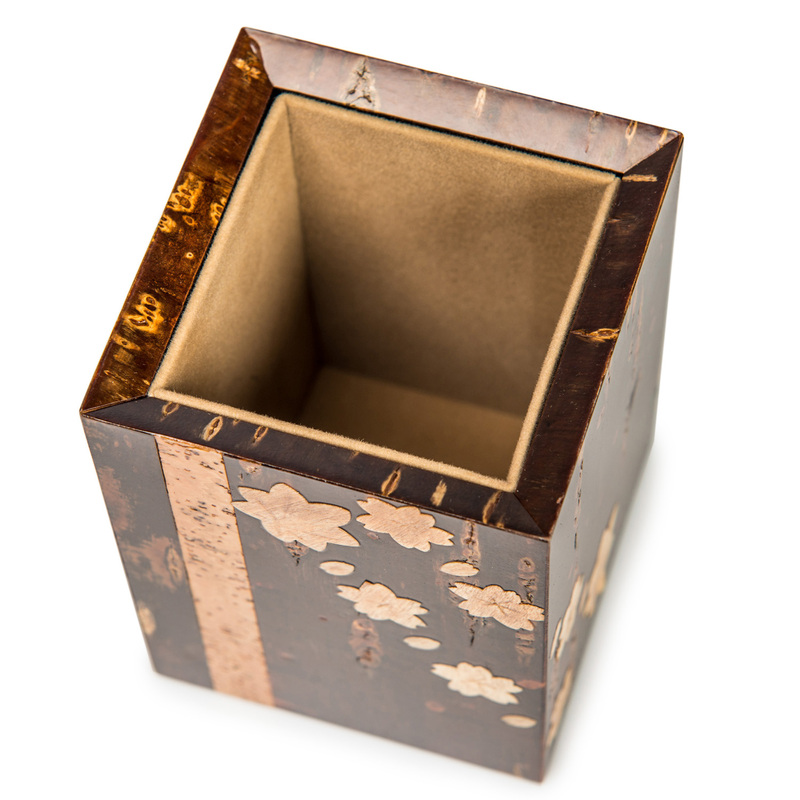 The Handmade Cherry Bark Japanese Pen Box could of course be used for a range of knick knacks and complete with a smart gift box is ideal for people who really appreciate great quality Japanese gifts and traditional Japanese craftsmanship! 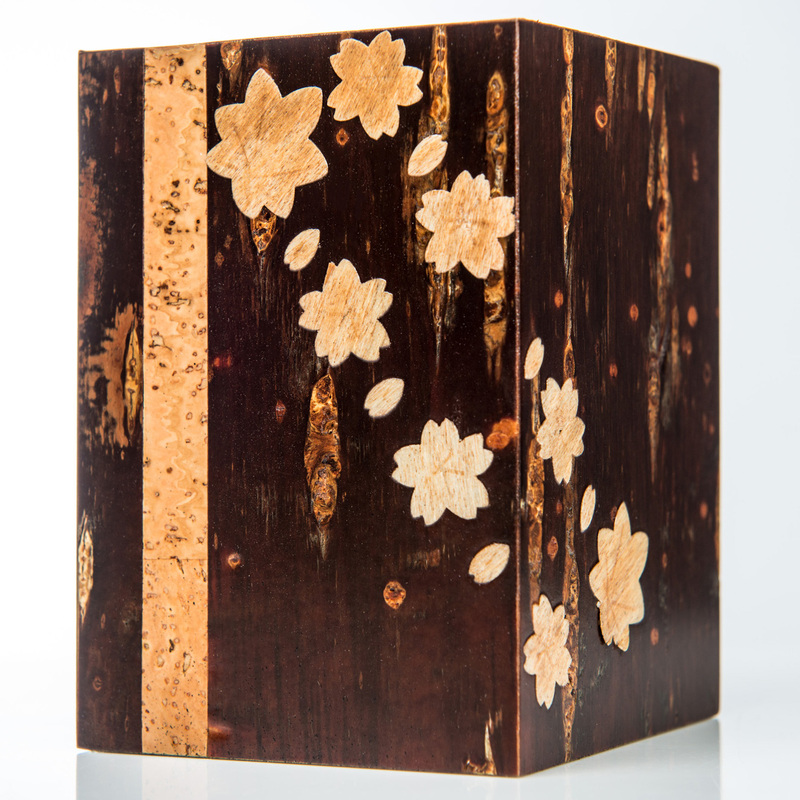 Order your Handmade Cherry Bark Japanese Pen Box online today and have it gift wrapped free of charge, or visit our showroom for this and many more authentic Japanese crafts!